The small and beautiful apricot is a delicate fruit, with both sweet and tart properties that make it exceptionally versatile. 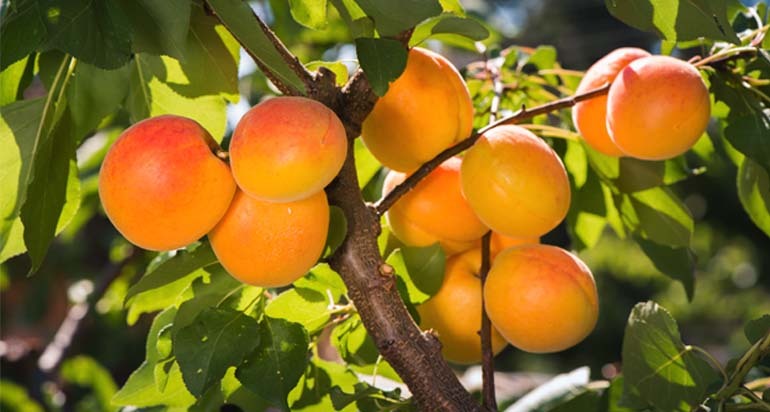 Packed full of vitamins A, C, K and niacin, as well as mineral content that includes copper, potassium, phosphorous and magnesium, apricots have been credited with a range of health benefits from strengthening bones and boosting metabolism to improving blood quality and heart health. The apricot season is fairly short, but with St. Dalfour Apricot Preserve you can enjoy the flavour of apricots all year round. Made using an old French recipe, delicious apricots are gently cooked with fruit juice concentrate to conserve the natural flavour of the fruit. Made 100% from fruit, with no cane sugar, artificial preservatives or colours, St. Dalfour Apricot Preserve is also gluten free and incredibly versatile. Try our all new Apricot, Cranberry & Honey Flapjacks recipe. It throws the rule book out of the window – no added sugar, no golden syrup – simply sweetened with delicious honey, cranberries and apricot preserve. So, what are you waiting for – purchase a jar of St Dalfour Apricot preserve today and get spreading, baking & cooking!